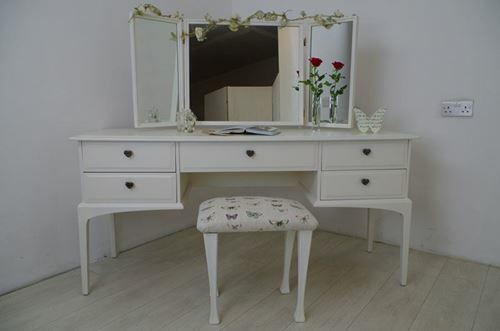 A Stag kneehole dressing table with 5 drawers, 3 mirror set and matching stool. 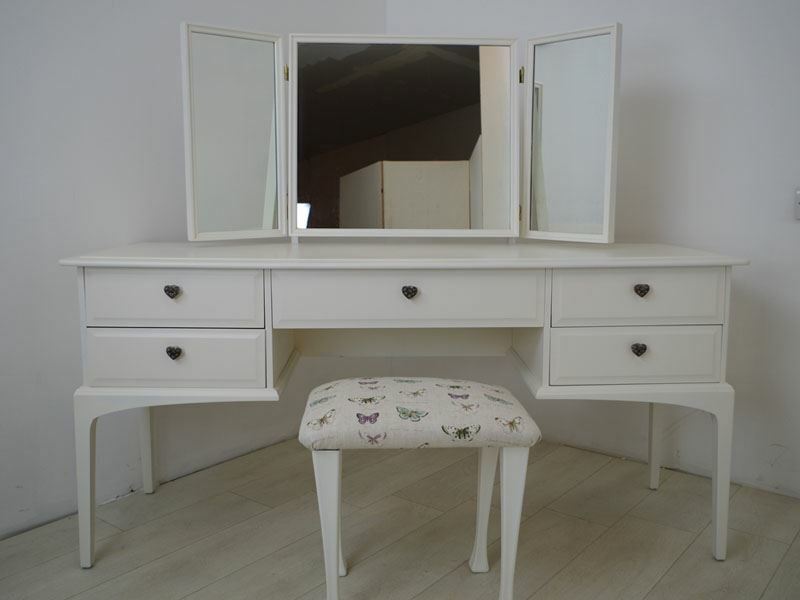 We made repairs to the dressing table before preparation. 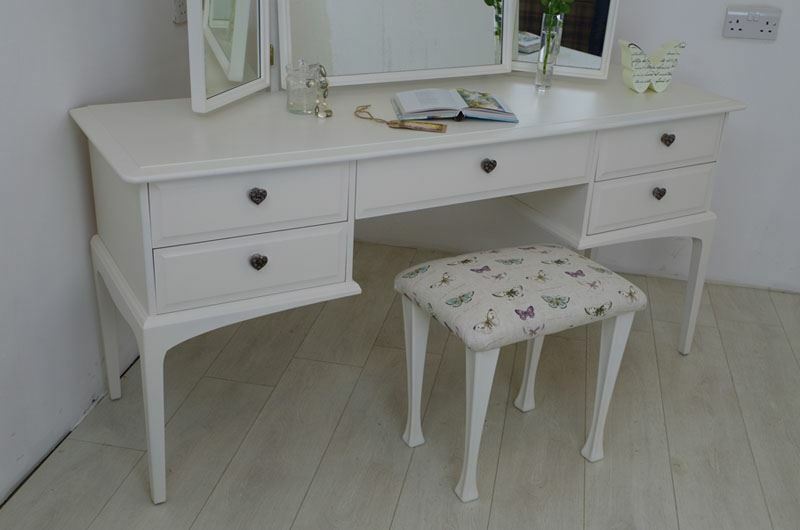 We then primed and undercoated, before top coating in Regency White water based acrylic. 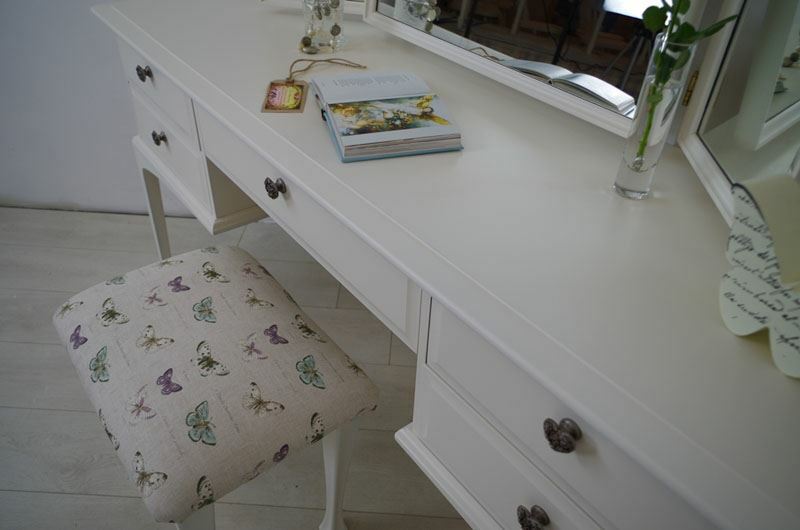 The paintwork was given a coat of matt sealer, before we waxed the dressing table & stool legs using carnauba wax to give it a silky and protective finish. 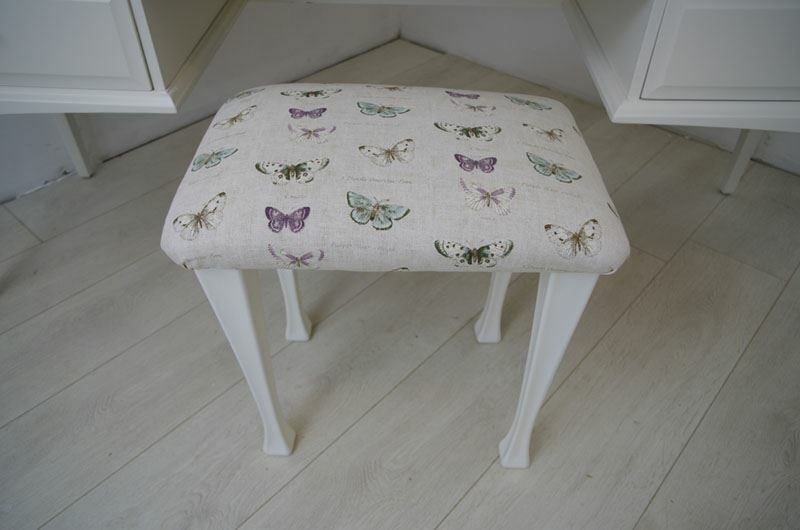 The stool seat pad has been reupholstered in Fryetts Butterfly fabric, this has been Scotchguard protected. 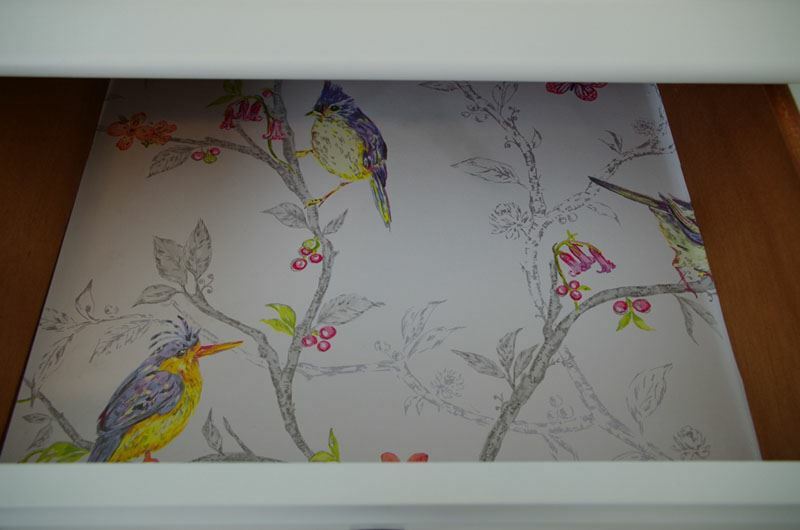 We have lined all the drawers, using very pretty Birds & Blossoms paper. 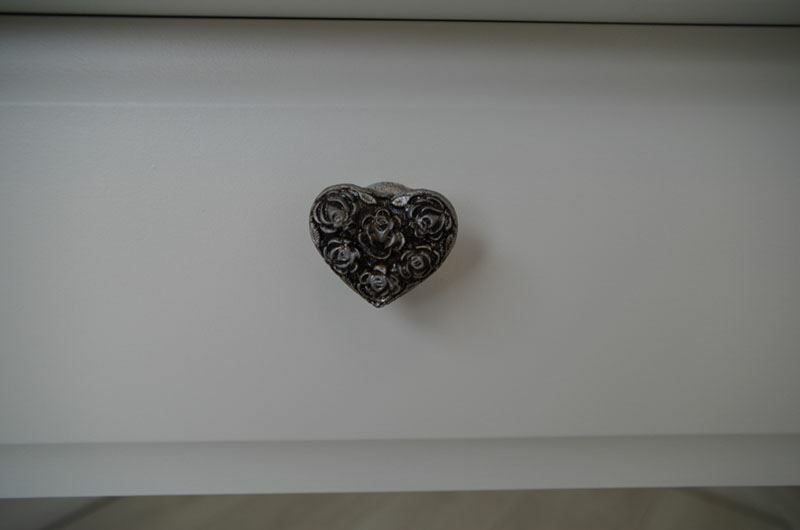 We added heart shaped, antique silver coloured knobs for a romantic touch. 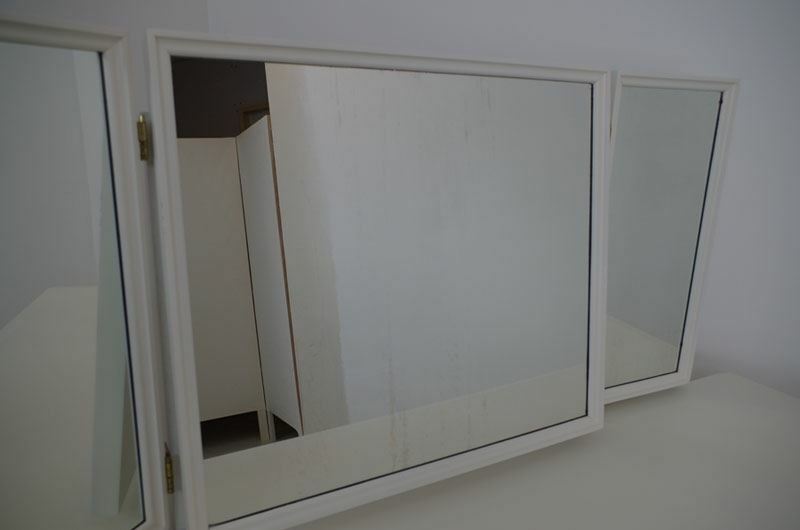 We have replaced the left hand mirror as it was very "foxed". 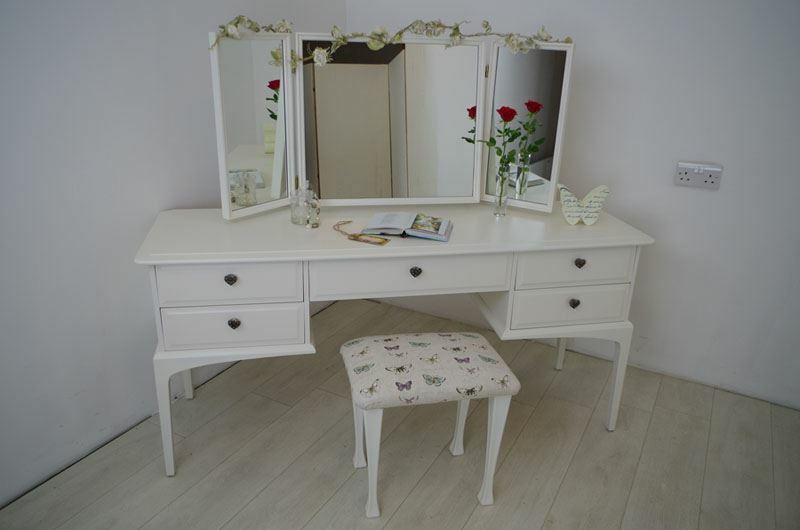 The main mirror and the right hand mirror do show minor signs of tarnishing.